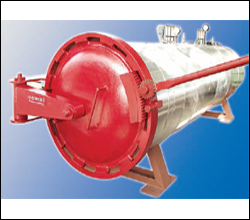 ZENITH valcunizer is equiped with Pressure Guage, safety valves, non returnable valves, temperature guage etc. Diameter 1 Mts, 3 Mtr. Length 4 Mtr, 5 Mtr, 8 Mtr.